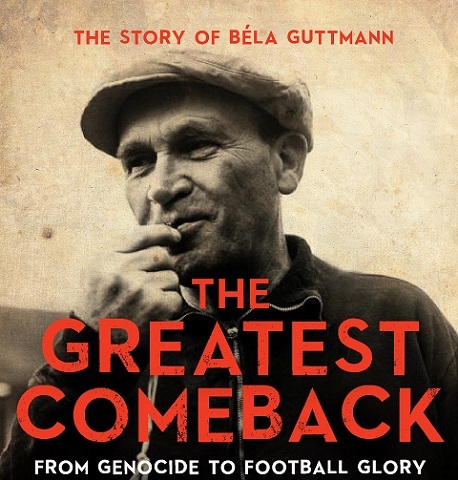 The Wiener Library is pleased to host the launch of David Bolchover’s book, The Greatest Comeback: From Genocide to Football Glory, an extraordinary and compelling account of the life of football coach Béla Guttman. Béla Guttmann was the first of a breed of globe-trotting superstar football coaches, achieving his greatest successes before Pep Guardiola or José Mourinho were even born. He was also a Holocaust survivor. In 1944, much of Europe had wanted Guttmann dead. He hid for months in an attic near Budapest as thousands of fellow Jews in the neighbourhood were dragged off to be murdered. Later, he escaped from a slave labour camp before a planned deportation and almost certain death. His father, sister and wider family were murdered. But by 1961, as coach of Benfica, he had lifted Europe’s greatest sporting prize, the European Cup, a feat he repeated the following year. From the death pits of Europe to champion of Europe in little more than sixteen years, Guttmann performed the greatest comeback in football history. The launch will include opening remarks by Daniel Finkelstein OBE as well as by author David Bolchover. David Bolchover is an author and commentator. He has published three previous books, including the bestselling 90-Minute Manager, which explored the various management styles of the great football coaches. He has written for a number of leading newspapers, such as The Times, the Telegraph and the Financial Times, and has frequently appeared on the BBC, Sky and other broadcast outlets.